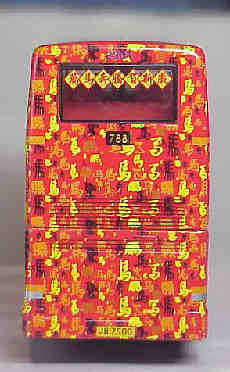 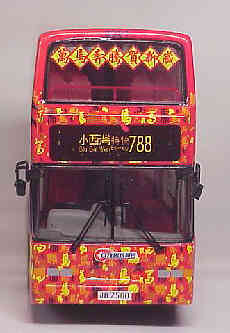 The model - this Corgi model was released in Hong Kong on 26th March 2002. 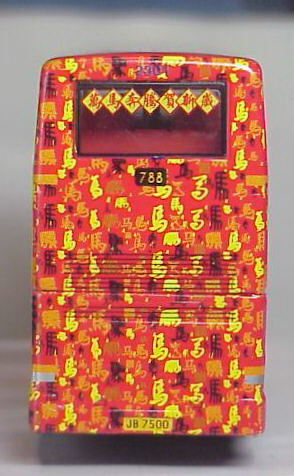 A quantity were made available to the UK market. 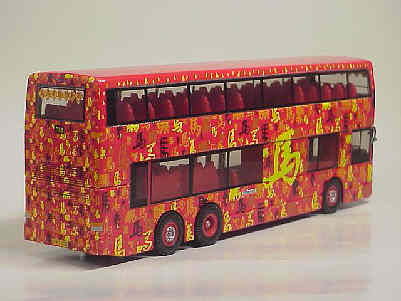 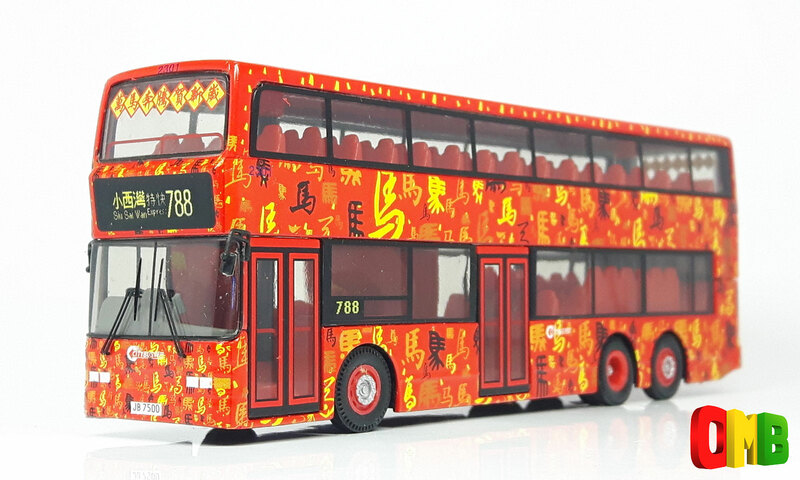 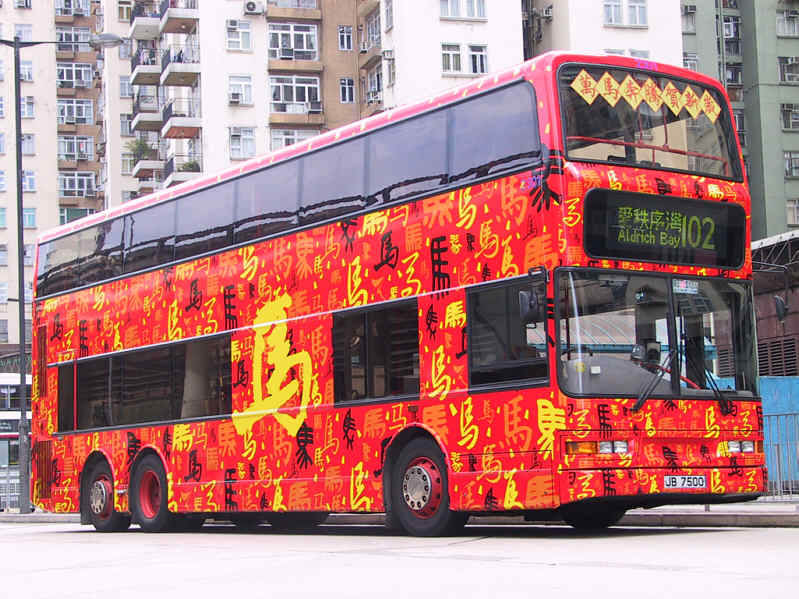 The bus - To commemorate the year of the Horse, Citybus applied a special livery to Dennis Trident 2301 (JB7500) during January 2002. The livery consists of a lot of "Horse" Chinese characters, which represents "Galloping horses" from the Chinese point of view.